All posts beginning with [insert letter here]!!!!!! Location: STOP STALKING ME! I'M INSECURE! Re: All posts beginning with [insert letter here]!!!!!! Centering my attention on cocounts... done. Control the urge to eat the coconut. Can't do that for so long! Court order forbids me to. Chocolate is the only one I need. Re: All posts beginning with I / i ! I am suggesting a letter change in this game , because it has not been played for years. (from this post on, all posts start with the letter "i"). In this game, all posts should start with one and the same letter, until someone changes it, then the posts should start with the new letter suggested ! i statements are very personal statements and useful for showing things about yourself to forum friends! In my opinion, necroposting is harmless. I did it with good intentions. Actually, it is not forbidden by any rules. And I hope that you just told a joke and that you will continue being friendly. It is O.K. to take part in threads where noone has not taken part for a long time, it does not harm anyone, as well, right! I interpret your words about necroposting as offensive. I forgive but I do not forget. 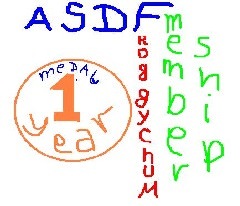 My next visit on ASDF will not be soon, as a result. I agree it's harmless, but so is double posting, the reason we don't do them is because they are rules. Incremental games, or, also, idle games, are games, where the players increases his income of certain kind of item, and than exchanges it for upgrades, which multiply the income. If Atomtengeralattjaro or Shai`tan grants me a permission to do it, I will tell you which my favorite incremental games are. It is no problem, I would not lose a friendship like you over something so silly and petty! I wonder if you will have to go to school next week. I saw your signature - maybe, you will have enough place for the new quotation, if you erase the old one... If you mean, "Friendly, Respectful One, etc..."